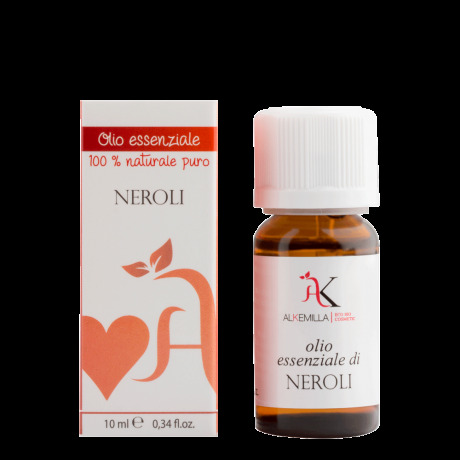 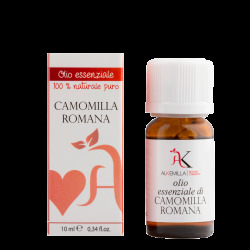 Uses In aromatherapy: neroli essential oil is indicated for creating a relaxing, calm and convivial atmosphere; it instils mental serenity, calms anxiety, relaxes tension and nervousness. Ideal for creating calming and relaxing massage oils to melt away nervous tension, or before going to sleep to facilitate good slumber. It is also excellent for relaxing baths, add a few drops to a spoonful of salt or bicarbonate of soda and pour into warm water. Recommended doses massages: 2-3% solution in a carrier oil (40-60 drops in 100 ml, or 5-6 drops in a spoonful for on-the-spot preparation) suitable for most areas of the body; 1% solution in a carrier oil or base cream (20 drops in 100 ml, or 2 drops in a spoonful for on-the-spot preparation) for delicate areas of the body and delicate skin types; aromatic baths: 15 drops in 3 spoonfuls of honey, natural marine salt or neutral liquid soap; airborne: 10 drops in an aroma or vaporizer lamp. 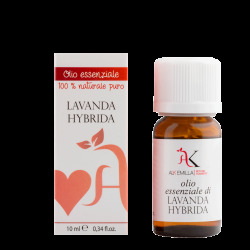 In cosmetics: it is used for its perfuming/flavoring, tonic, antiseptic, healing, and skin regenerating properties. applications: as a fragrance for products such as liquid soaps, shampoo and intimate washes; in the treatment of scars, acne scarring, wrinkles and stretch marks; it can be used in the preparation of beauty face masks and facial serums for a regenerative and invigorating effect.